OLD PARKED CARS. 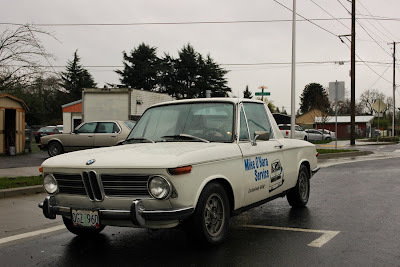 : 1971 BMW 2002 Pickup Truck. 1971 BMW 2002 Pickup Truck. This will no doubt disturb the purists, but I say -- Brilliant! first thing I said when I saw the title: WTH is that!! this is a very weird concept, never seen a 2002 like this but whoever did the conversion did a very good job. 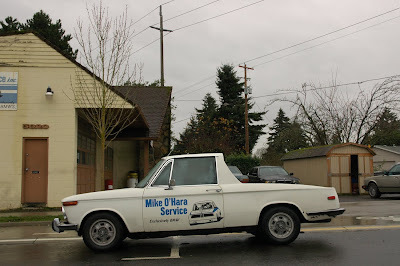 it looks flush and the stylized bed fits the lines of the car. 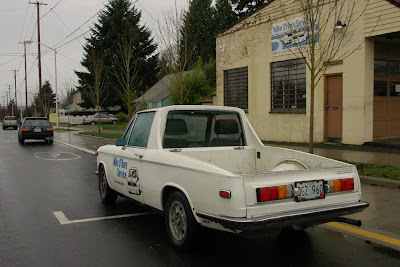 It is a very unique truck. aaah and I also spy Ben's corolla GTS beast in the background of the second pic. Very well done conversion, I love the tail lights. this conversion is so well done that i had to goole "bmw 2002 pickup" just to confirm it was not from the factory. this is sweet!